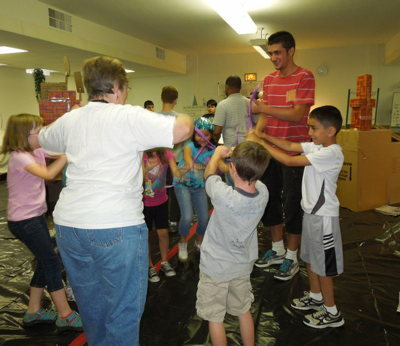 July 18, 19, 20 5:30 – 8:30 p.m.
Click here for the Youth Leader Registration Form. 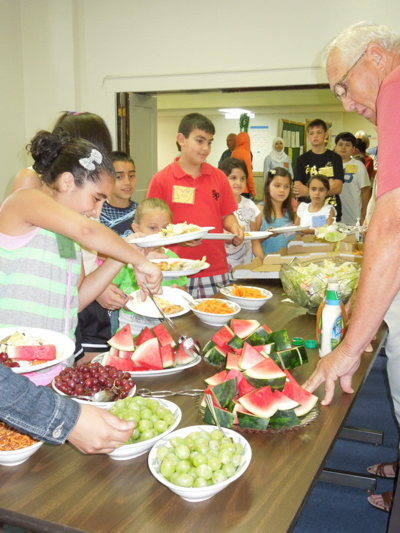 To register a camper using the English form, click here. 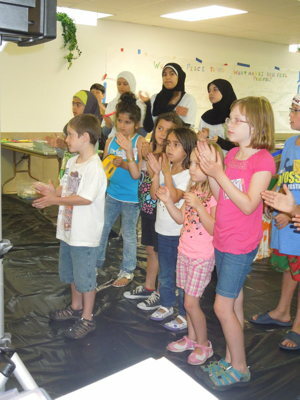 To register a camper using the Arabic form, click here. 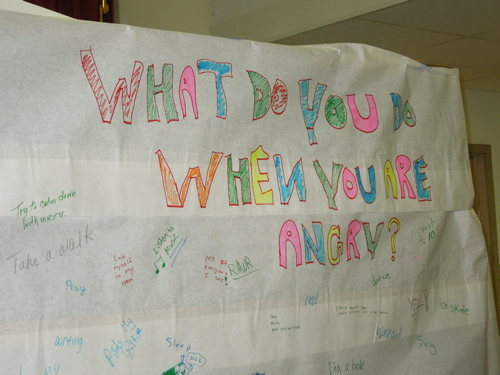 Many people are concerned about the violence in the world, and particularly how it affects children. 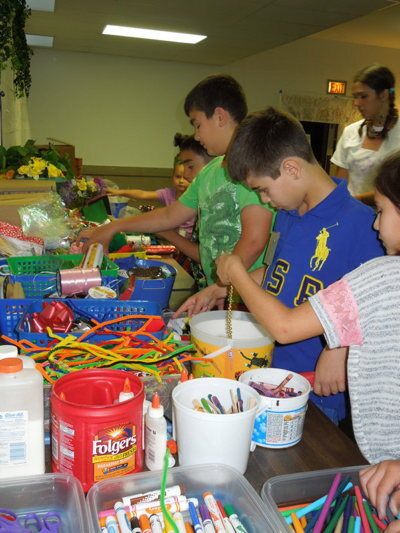 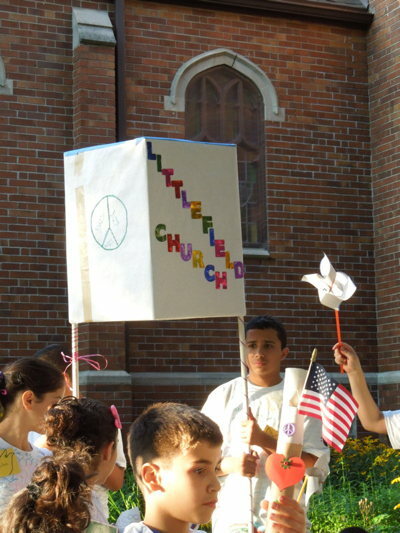 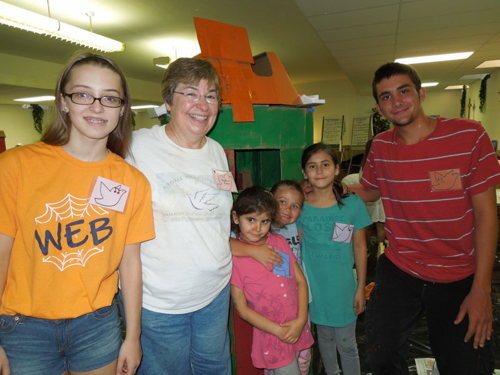 The people of Littlefield Presbyterian Church decided several years ago to do something about it and started holding Peace Camp for church youth and neighborhood children. 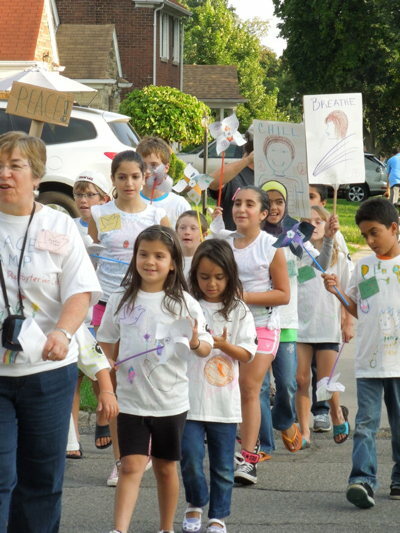 "Children of all ages need to learn respectful, peaceful ways of resolving conflict and working together," said the Rev. 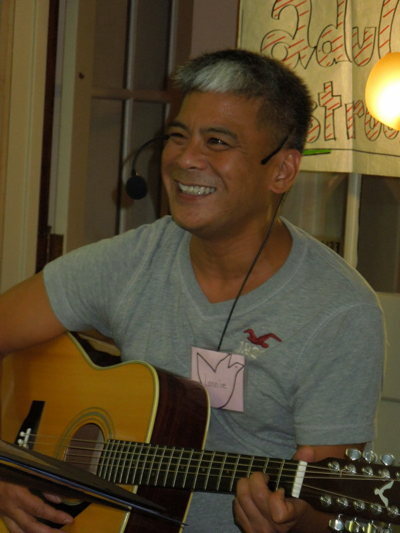 Fran Hayes, pastor of the church. 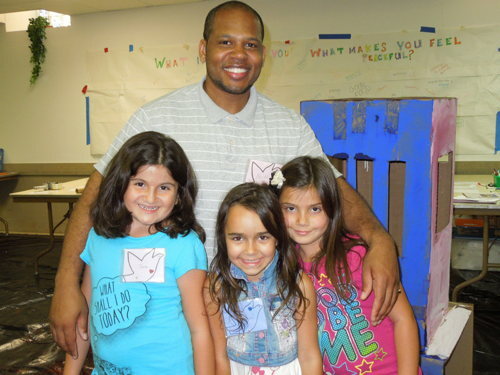 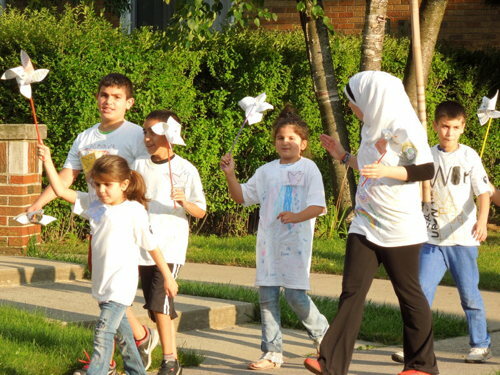 "Peace Camp gives us a chance to learn peaceful ways of doing things, celebrate our neighborhood's diversity, make new friends and have a lot of fun together." 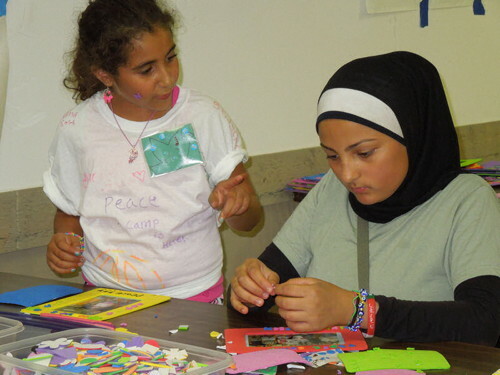 To read the 2016 Peace Camp Newsletter with Peace Camp photos and highlights, please click here. 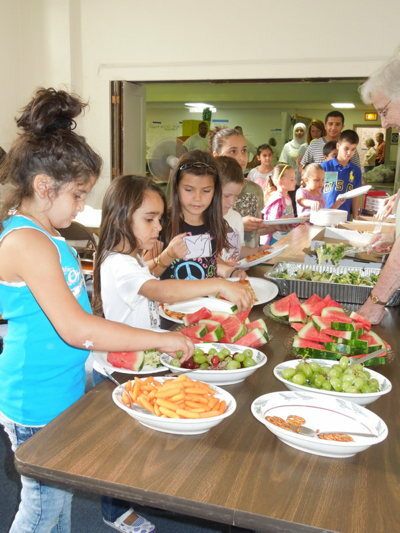 At Peace Camp, every night started with a meal. 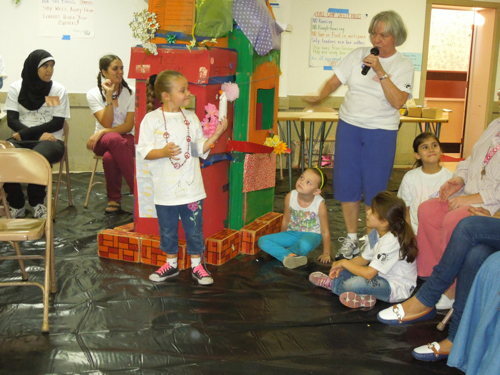 Everyone gathered to learn about peace and sing songs. 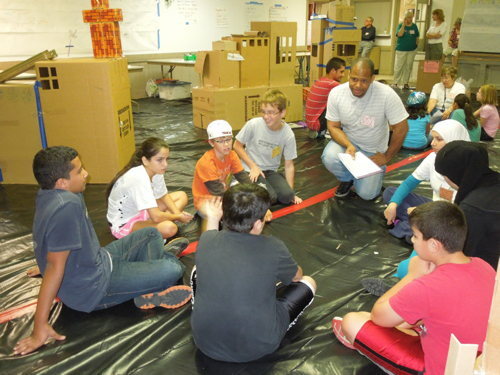 Small groups were formed to get acquainted with each other and talk about conflict resolution. 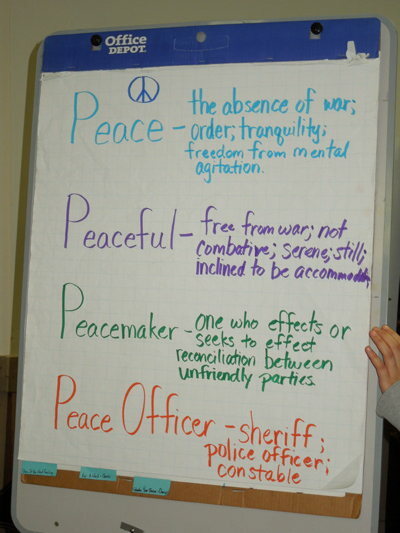 Campers were encouraged to answer questions on the graffiti board each day and create peace posters. 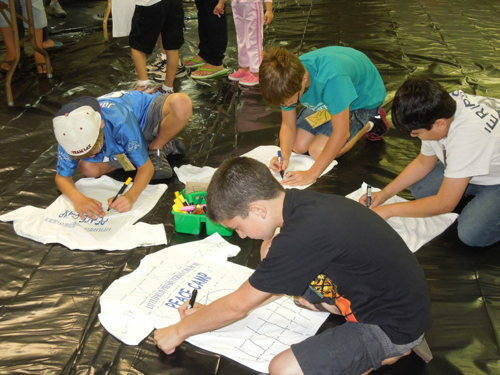 Everyone showed creativity when designing Peace Camp t-shirts. 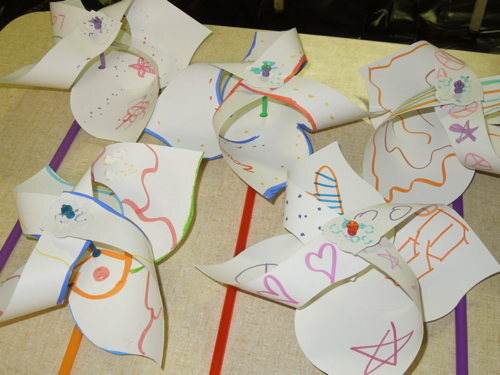 Campers made crafts to take home. 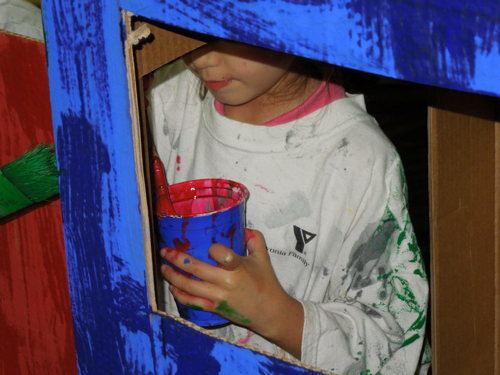 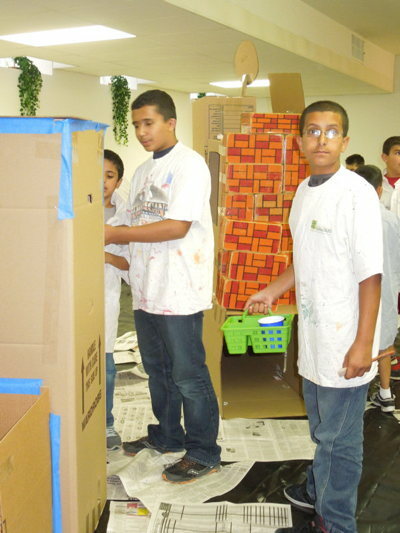 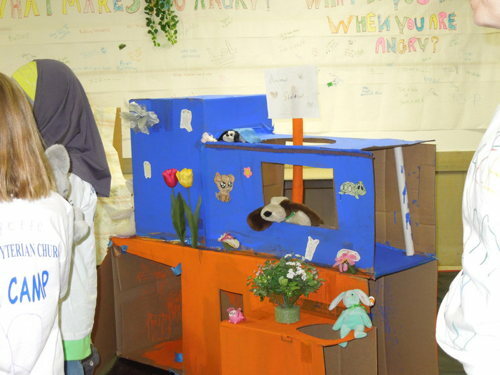 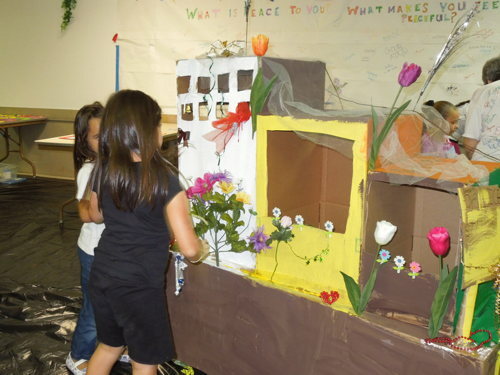 The campers used cardboard boxes, paint and decorations to construct buildings found in a Peaceful Community. 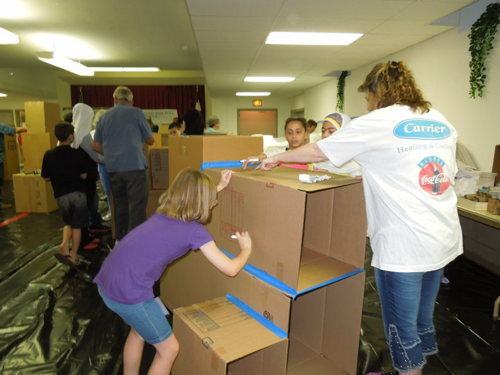 It takes teamwork to build a peaceful community. 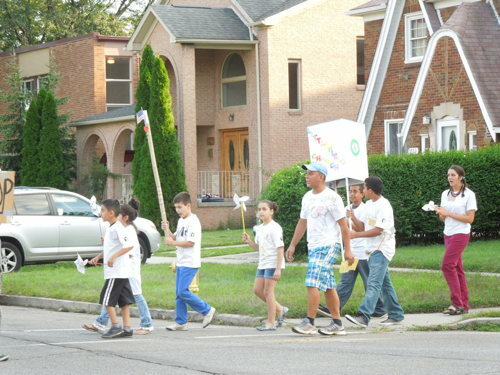 On the last night we held a Peace Parade in the neighborhood. 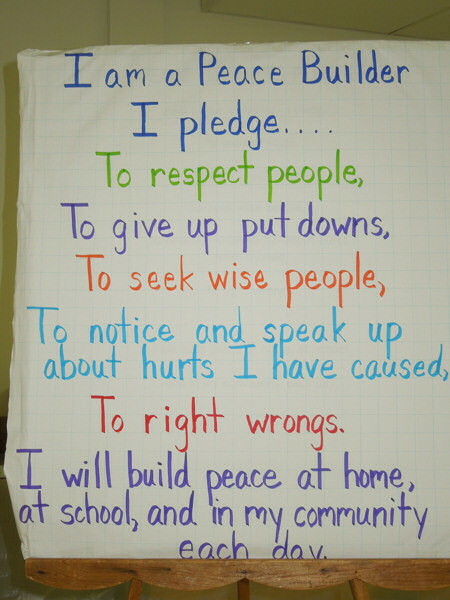 This is the Peace Builders Pledge.